Four of nine planetary boundaries have now been crossed as a result of human activity, says an international team of 18 researchers in the January 16 issue of the journal Science. The four are: climate change, loss of biosphere integrity, land-system change, altered biogeochemical cycles (phosphorus and nitrogen). 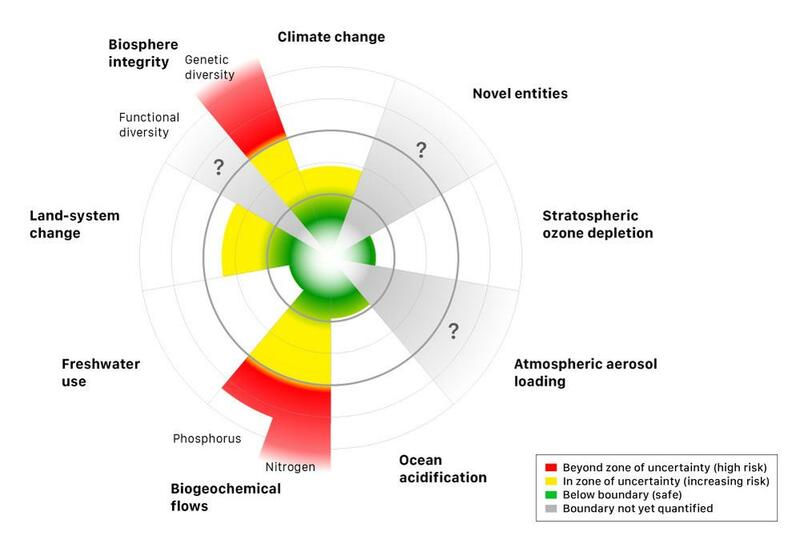 The new paper is a development of the Planetary Boundaries concept, which was first published in 2009, identifying nine global priorities relating to human-induced changes to the environment. The science shows that these nine processes and systems regulate the stability and resilience of the Earth System – the interactions of land, ocean, atmosphere and life that together provide conditions upon which our societies depend. “Loss of biodiversity” is now called “Change in biosphere integrity.” Biological diversity is vitally important, but the framework now emphasizes the impact of humans on ecosystem functioning. Chemical pollution has been given the new name “Introduction of novel entities,” to reflect the fact that humans can influence the Earth system through new technologies in many ways. “Pollution by toxic synthetic substances is an important component, but we also need to be aware of other potential systemic global risks, such as the release of radioactive materials or nanomaterials,” says Sarah Cornell, coordinator of the Planetary Boundaries research at the Centre. “We believe that these new names better represent the scale and scope of the boundaries,” she continues. 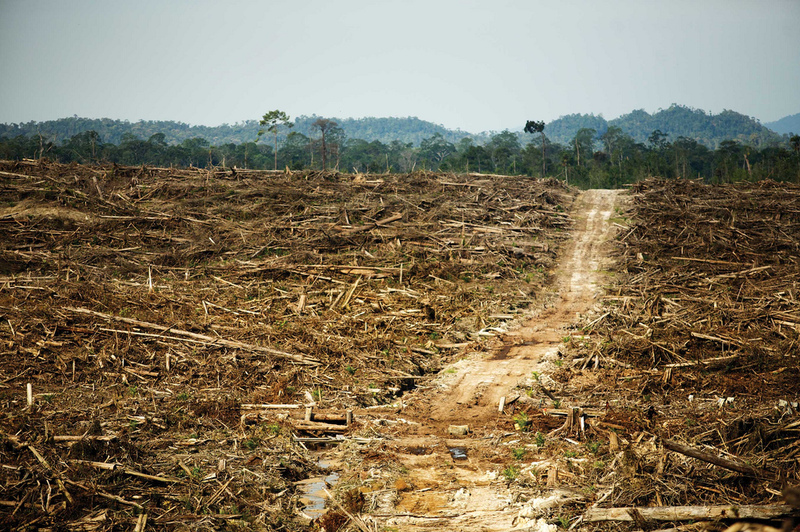 “Planetary Boundaries do not dictate how human societies should develop but they can aid decision-makers by defining a safe operating space for humanity,” says co-author Katherine Richardson from the University of Copenhagen.